Starting from VS 2015 node is built in, along with the task runner explorer, though i still have occasional issues with the task runner explorer, but they are defiantly a must have. Dim compress_string As String = ".min"
Below is an example file from one of my projects, im not using contcat on this one because i dont ahve a lot of js in this project, but if you’ve got more than 2 its generally good to concat them as well. 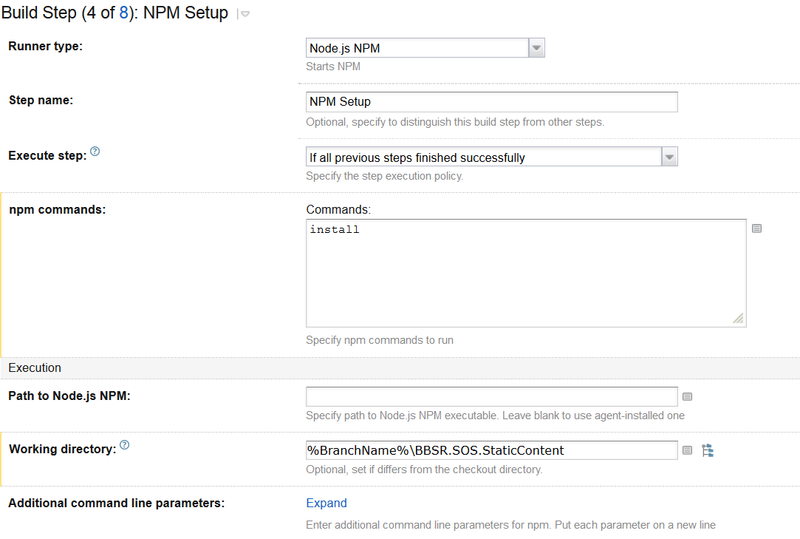 The Node plugin for teamcity is available here, this will give you npm steps in you build templates. simply the install command will pick up the dependencies and get the files, NOTE: this is add a shitload of time to your builds (upwards of 2 minutes), I’m still looking at ways to solve this. 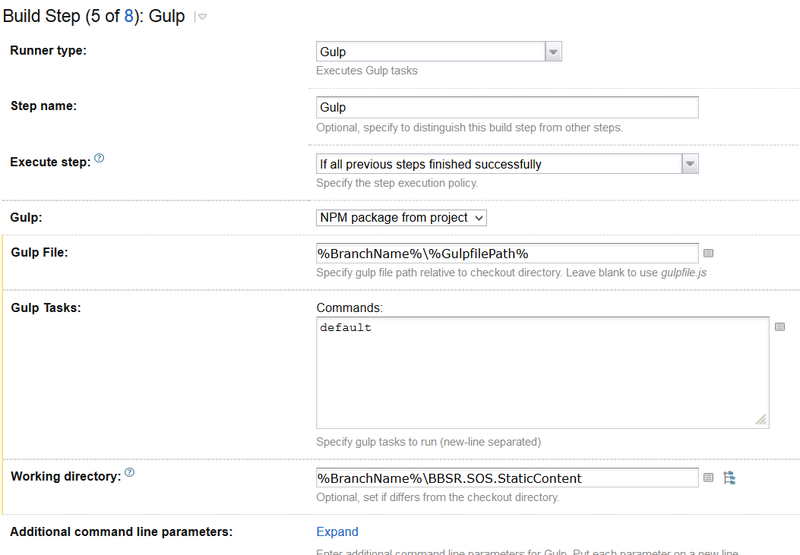 Just set the working directory to the root of the project that has the gulp file. I haven’t tried doing gulp for multiple projects, so far I’ve been primarily using it for js and css, and i generally create one static content project per solution that all the other projects will share. So I can’t comment on this yet. After that you should have a working solution, as you can see below the issue i have with build times now, 2 min 34 secs downloading to run a job that takes 4 seconds. If you are using octopack, you will not get the outputed files in the nuget packages, because they aren’t included in the visual studio project file. I’ve worked around this by adding a nuspec file to my solution. example below from one of my projects, shows including just the minified css and js content to the nuget package for octopus.